From time to time, we invite a person we admire, from any walk of life, to come and have lunch with us and talk about their experiences. 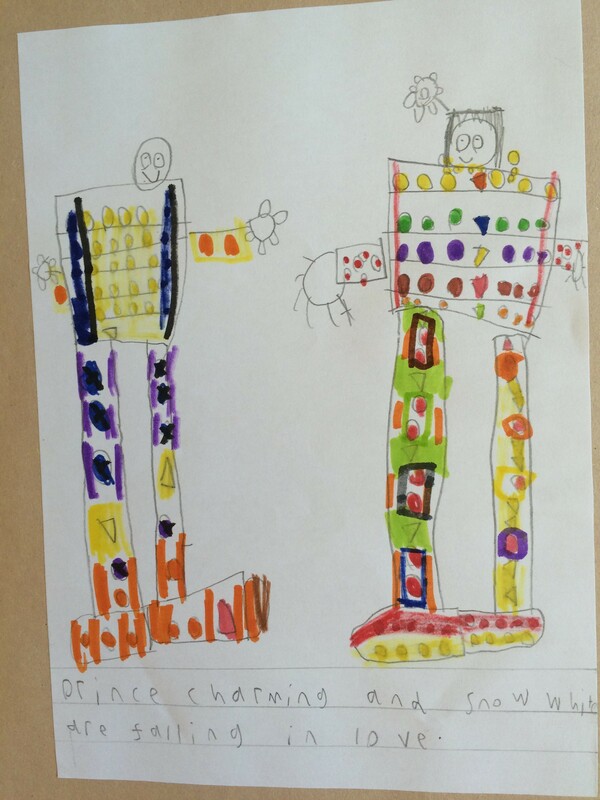 Yesterday we welcomed Peter Wilson MBE to the Spring studio as he became the latest of our Spring Heroes. 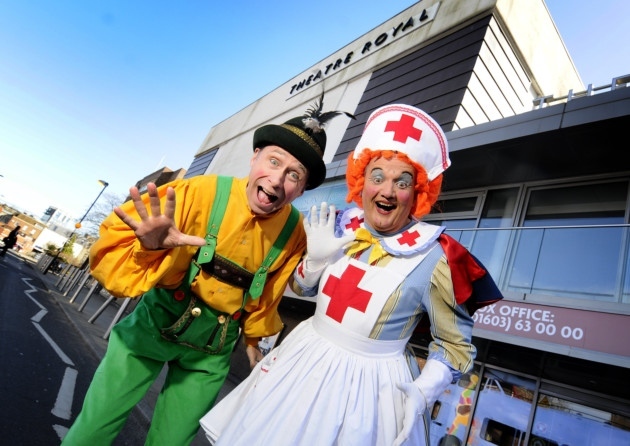 Until last December, Peter was CEO of Norwich Theatre Royal, and during his 25 years there he turned what was a struggling regional theatre into a venue that attracts some of the biggest West End shows, regularly sells out performances and is supported by 12,000 Friends – seven times the average. His theatrical production business, PW Productions, is the home of famous theatrical plays including The Woman in Black on the stage, and he described the perilous and challenging journey from opening the production to the success it now enjoys. He emphasised the importance of having the confidence in your vision to follow it through – after problems at The Strand and the Playhouse Theatre he finally secured the venue he initially wanted, and it has run at the Fortune Theatre ever since. Only The Mousetrap has run continuously for longer. A similar attitude saw him tour An Inspector Calls after it had run at the National. Conventional wisdom said the play was finished but Wilson had the vision and followed it through to prove everybody wrong. It is still successfully touring twenty years on. 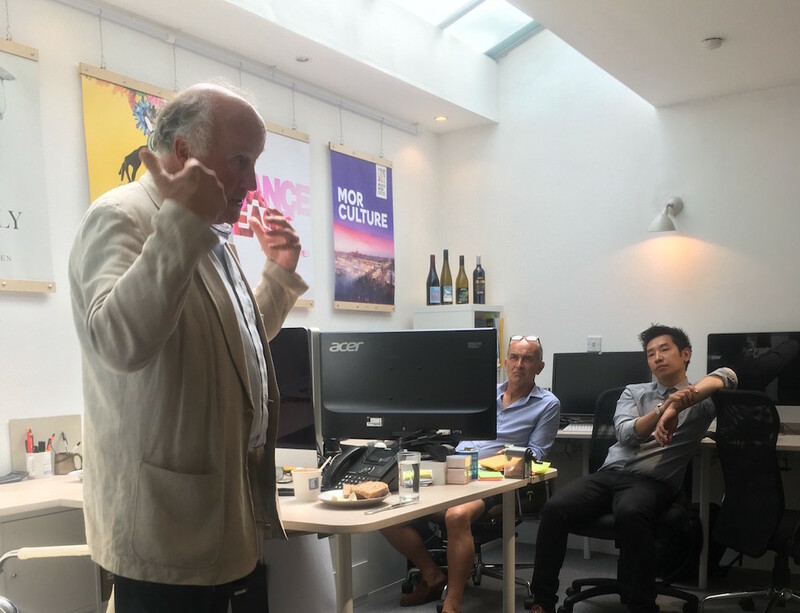 Engaging and insightful (and including a story about how Tina Turner’s plane once saved one of his productions in Australia at the last minute), Peter made for a thoroughly enjoyable Spring Hero. It’s around this time of year that Southwold and the surrounding area pick up an extra buzz. 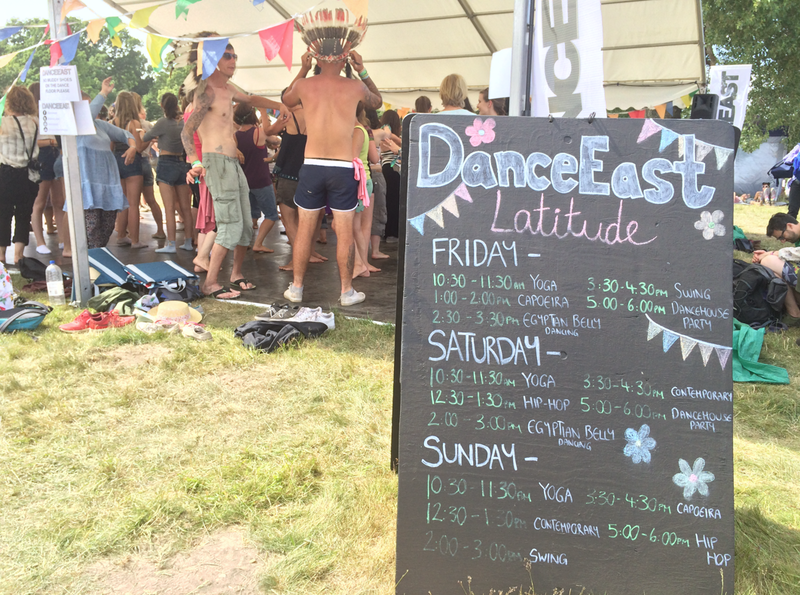 People from around the country pour in for Latitude, one of the most popular festivals in the UK. It’s held on the Henham Estate, just four miles from Southwold and close enough for us to hear a kick drum if the wind’s in the right direction. Halcyon: My Latitude involves serving around 3,000 cups of tea! 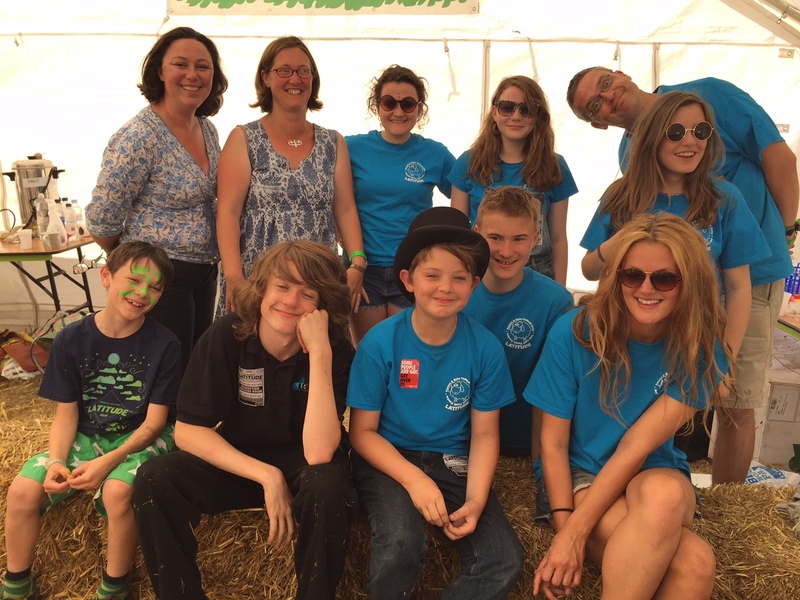 I attend in my capacity as a volunteer at The Loft Youth Centre – a Southwold based youth centre – to run the Parent and Baby Chill Out Tent in the Kids Area of the Festival. We provide free tea, coffee and squash for parents and their pre-schoolers who are need of somewhere to sit and a few minutes peace and quiet away from the business of the festival. In return for providing this service, Latitude makes a charitable donation to The Loft. George: This was my 12th year at Latitude, I’ve made it my mission to not miss a year. It’s a great opportunity to discover some completely unknown acts – the Solas stage was a highlight for me this year where we got to watch Leo Standard play, a young up and coming musician with bags of talent. I would definitely recommend (although my musical taste is often frowned upon in the studio). Erika: We saw more science than music – my science-mad son spent hours in the Faraway Forest counting his heart beat and finding out about the Unlimited Space Agency. I loved that what started as a story turned into an ambitious and audacious pursuit to get a 3d printed man onto the ISS with Tim Peake. My personal music moment was when Divine Comedy gloriously broke into Blue Monday by New Order midway through Indie Disco – it was uplifting and hilarious, which is pretty much Divine Comedy all over. Suffolk: it’s happened. And we made it. 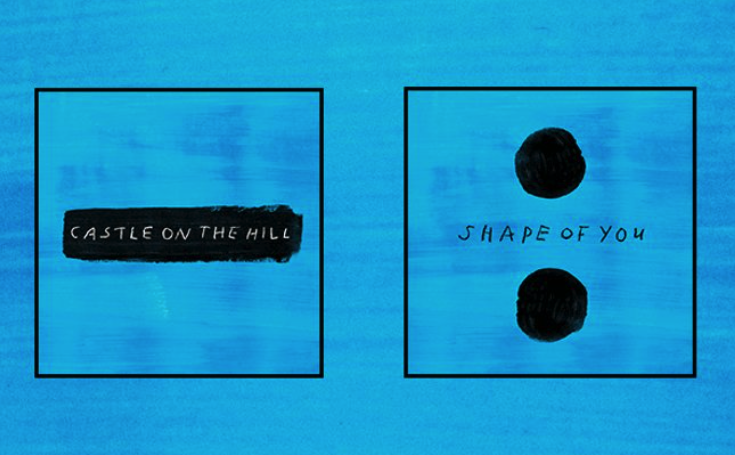 From Britten’s Aldeburgh Music taking over the whole Snape Maltings campus, to Sheeran’s love song to Suffolk, Castle on the Hill, breaking all streaming records. From Jon Hunt’s extraordinary Wilderness Reserve, which has just featured in Harpers Bazaar’s Top 150 hotels in the world, to a flood of high profile attention and substantial Heritage Lottery Funding for Gainsborough’s House in Sudbury. From the new wave of performance art that’s bursting from the streets of Ipswich to the celebrated and long-awaited opening of the National Heritage Centre for Horseracing and Sporting Art in Newmarket. Suffolk has suddenly exploded into view this January, and Latitude Festival has applied to increase its capacity to 40,000. If there’s a tipping point – the county’s hit it. 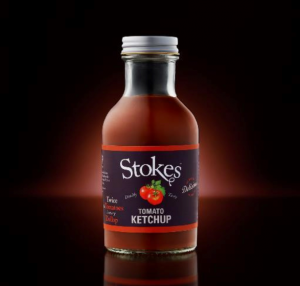 Not for Suffolk an outpost of the Tate, or the latest link in the Soho House chain – what is happening here is entirely home grown and 100% authentic. 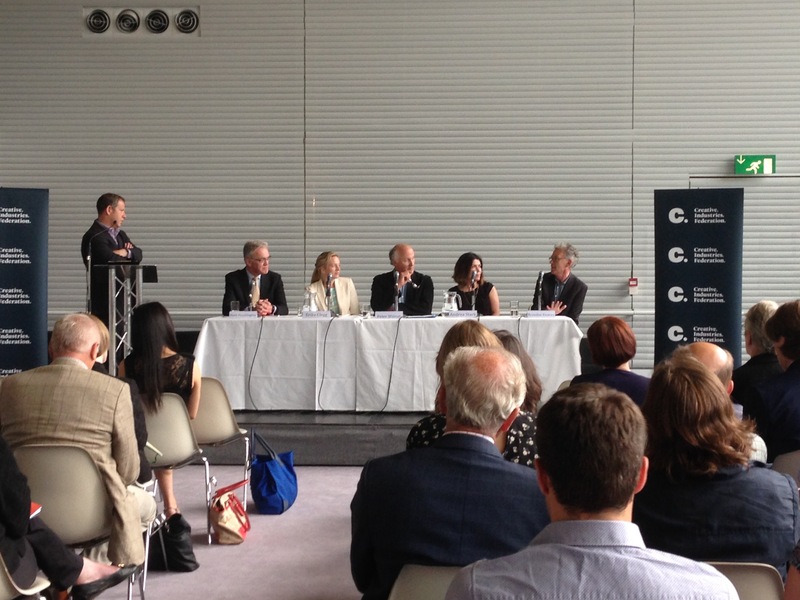 Little wonder, then – and wonderful news – that the region has just secured three more years of Arts Council England funding to really seal its place as one of Europe’s most exciting cultural destinations. Spring has always been proud of Suffolk, our county – proud to call it home, proud to enjoy and help spread the word about its wonders. Right now, we’re cockahoop! 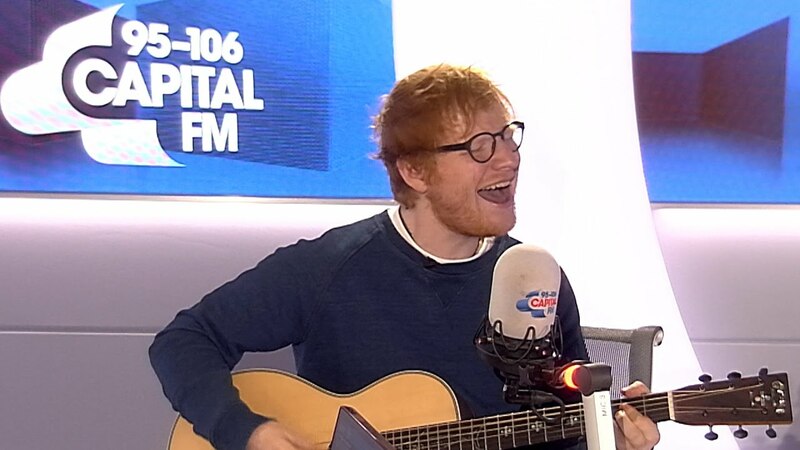 One of Suffolk’s most famous children Ed Sheeran has released new music today, attracting worldwide media attention after a year-long break from producing, performing and posting on social media. The lyrics of one of his two new releases, Castle on the Hill, describe his experiences growing up in nearby town Framlingham and allude to the presence in his life that Suffolk maintains, even as his career takes him to places increasingly far and wide. 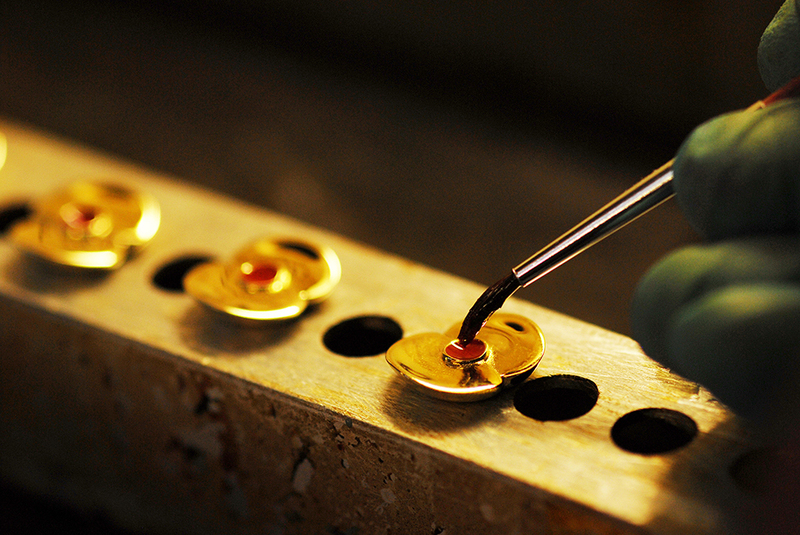 Suffolk has been home to Spring for over 10 years, and it’s shaped and defined us as we’ve grown. Like Ed, we Springers are constantly inspired by our surroundings, and know that as we give and contribute to our community, Suffolk shapes Spring’s work and our identity in return. Recently, the DBA – the design industry’s trade association – asked four of its board directors, including Spring’s co-founder Erika Clegg, to name a design they had admired in 2016. Image supplied by the Royal British Legion. Experimental theatre isn’t necessarily for everyone, and it’s unlikely you’ll know for sure until you see it. So it’s quite a leap of faith for an audience member to take. 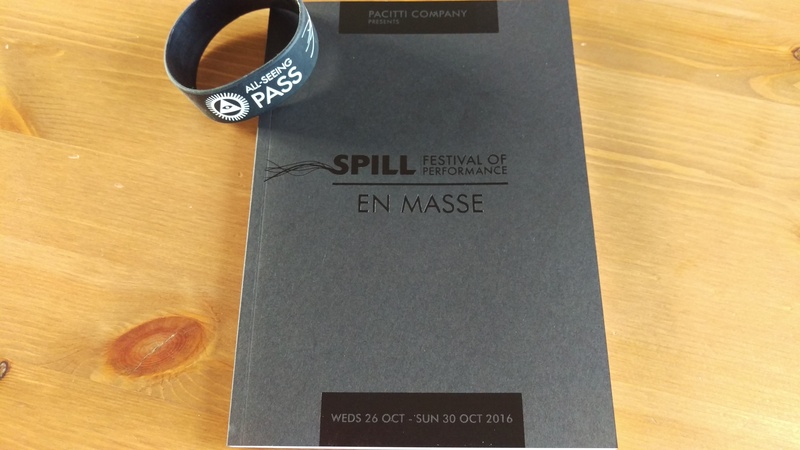 At the end of October I was at SPILL Festival of Performance in Ipswich. SPILL has been going since 2007, and is produced by Ipswich-based Pacitti Company. Previous SPILL festivals have seen works at the National Theatre, Southbank Centre, the Barbican, disused police stations, office blocks, and abandoned car parks. This year’s festival was bigger than ever, and saw over 120 events taking place across 22 venues over four and a half days. It’s safe to say, it was a busy one. This blog post isn’t about the art that I saw (which was all very different and incredible), but instead about the work that the festival team put into making SPILL feel at home in Ipswich this year, and more importantly, making Ipswich feel ready to embrace Ipswich. 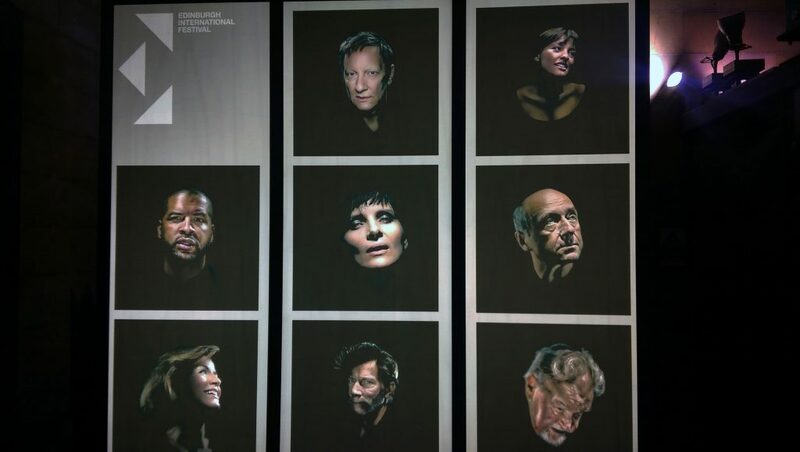 The programme was extraordinarily diverse, with different entry-points for the live art uninitiated. 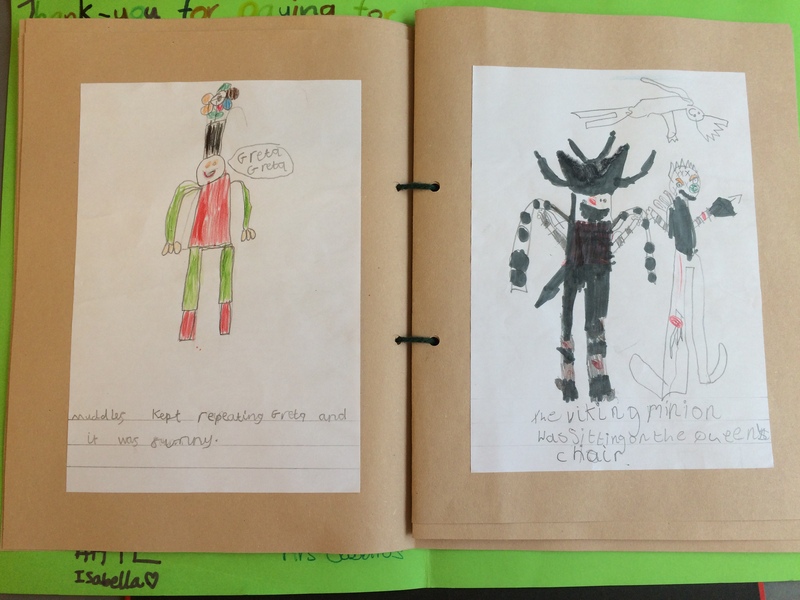 There was a participatory performance for children at DanceEast, where a terrifying beast was the centre of a story on the Ipswich Waterfront. There was live music in the newly refurbished Ipswich Arts Centre. There was a multi-cultural, feel-good party amongst the collections of the Ipswich Museum after dark. There was a sound installation in the middle of Christchurch Park using recordings of the dawn chorus in the park every day across a six month period. Audiences are people, and people are naturally nervous of change. This year’s festival helped those audiences embrace that change. As the Agency for Change, we Springers like that feeling. 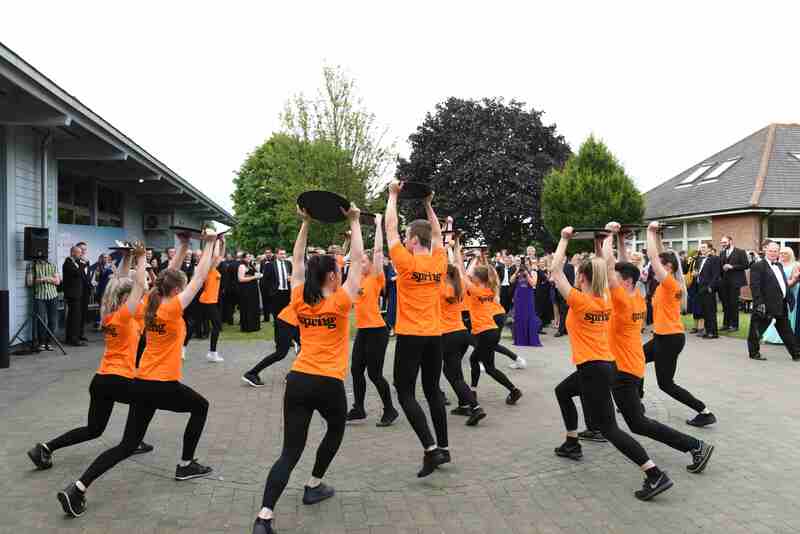 Last night’s Archant Business Awards kicked off in spectacular fashion thanks to a dancing waiter flashmob arranged by Spring with the help of DanceEast’s CATS students. The students were cunningly disguised as reception waiters, for the event opener sponsored by Spring. At a signal, thirty ‘waiters’ broke into energetic dance to a pumping soundtrack, much to the surprise and delight of the event’s guests. It caught the attention of social media, with many guests tweeting film and photos of the performance. 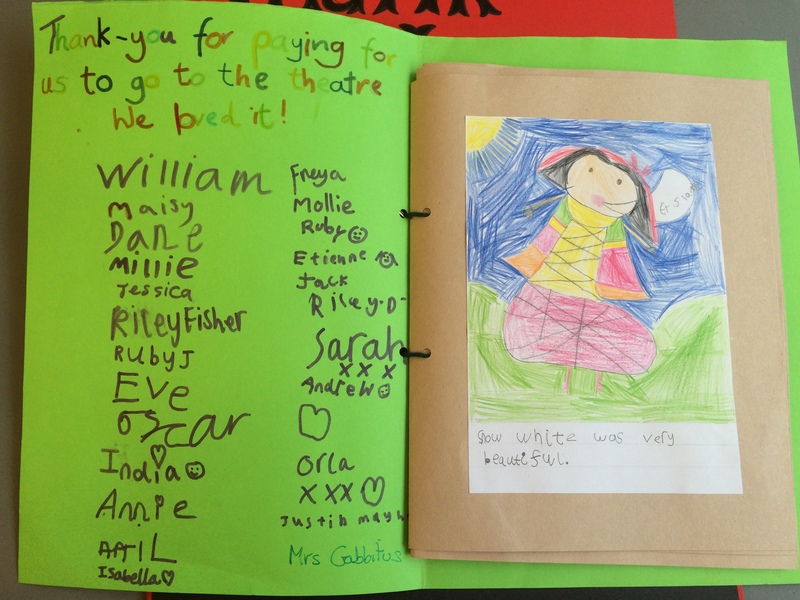 Feedback from the CATS students themselves was that the experience was a challenge, and one they loved – we’re delighted to have been able to work with these talented students to such great effect. 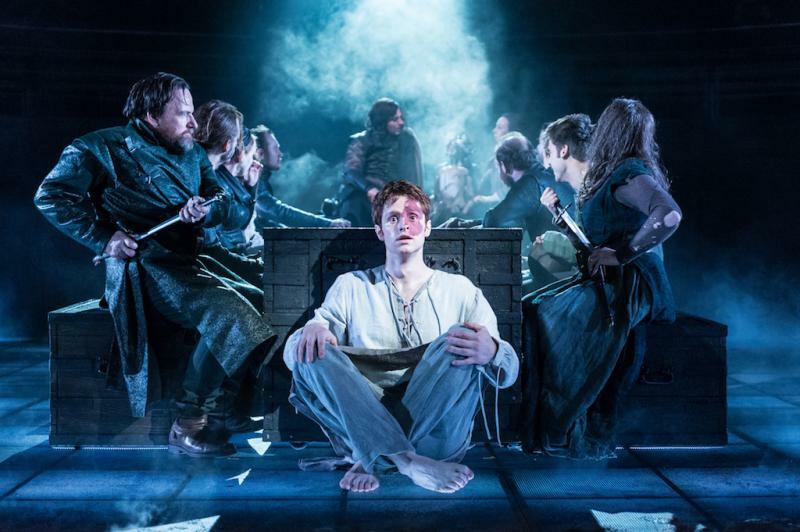 This weekend saw the Norwich Theatre Royal host the James Plays, and two of the Springers attended thanks to the agency’s Cultural Expansion Grant. 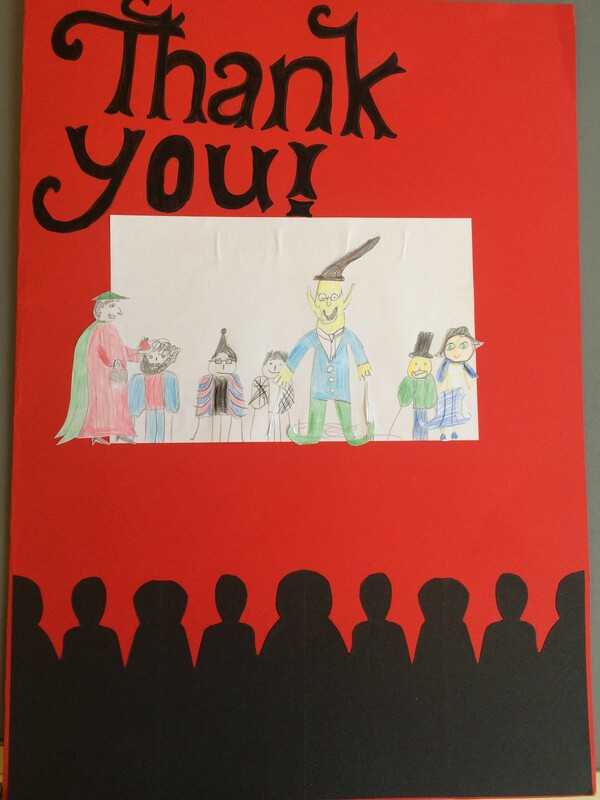 The three plays cover the stories of James I, II and III of Scotland, and are written by Rona Munro and directed by Laurie Sanson. That fact leaves you completely unprepared for the sheer energy and visceral impact of this extraordinary trilogy. 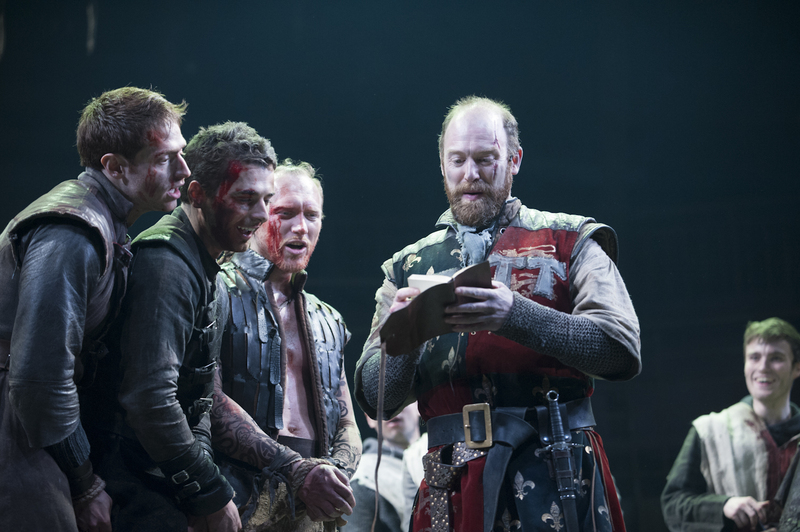 Taken separately, each play – in quite a different creative style to its companions – provides a fascinating insight to the character of the three men, their courts and contemporaries; as a set they immerse the audience into the times in the most involving way. Not only is Munro’s writing great: modern but credible, strong and compelling; but the wrap of the production is consistently excellent. 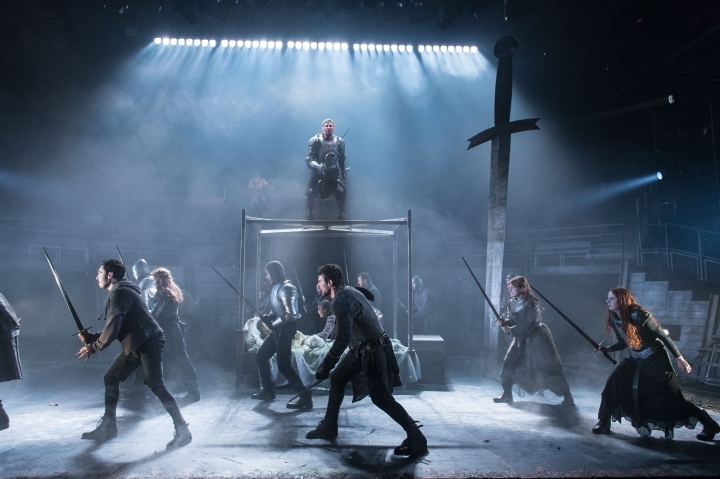 The lighting and set combine to plunge you in darkness yet disperse light throughout; the choreography of fights and dances alike is fluid and thrilling; the score underpins the sheer energy of the piece in the most spine-tingling way. The twenty-strong cast are phenomenal, carrying the action for seven hours with fantastic energy and credibility. In fact, in over seven hours of theatre – a marathon viewing experience – there was not a moment where the pitch dropped from utterly absorbing. James Gorry and I both booked into this event using our Spring Cultural Expansion Grant, a fantastic resource offered to every Springer twice yearly to ensure we all keep immersing ourselves in new experiences and expanding our horizons. We anticipate an ongoing fascination with Scottish history from the cultural tourism posse. Careers at Spring! How will you tell the world you’ve joined us? Great news for potential Springers! We are looking for an account manager with good PR and social media skills. Is it you? If you think you’ve got what it takes, we’d like you to show us! Yes, we’d like to see your CV and a brief covering letter, but we’d ALSO like you to send us a press release, announcing your arrival at Spring, saying what you bring to the team, and what Spring (with you in it!) brings to the world of communications. 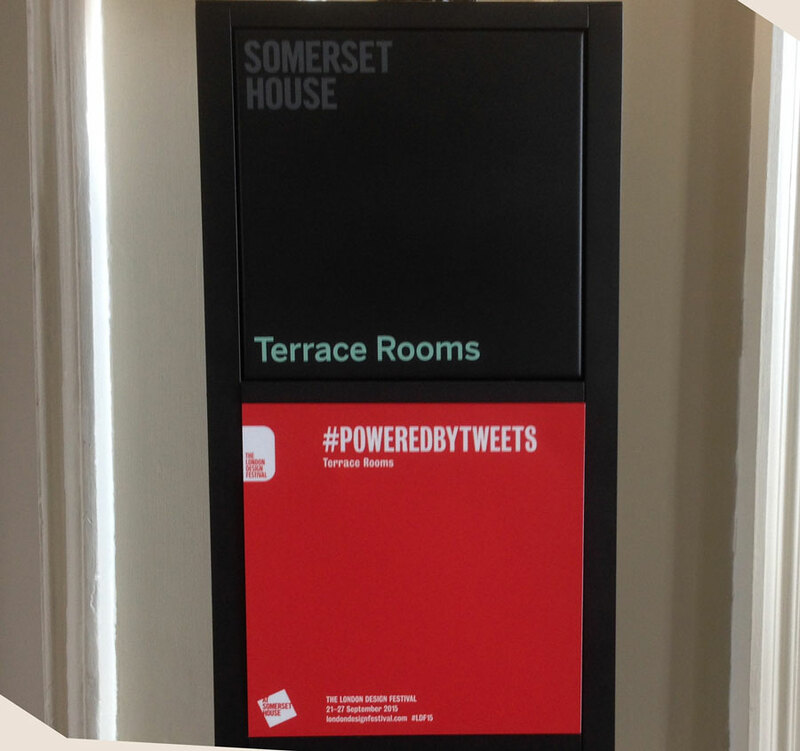 Not just that, but write the tweet we’d send out the day you arrived, too. (Not on twitter please, just by email or post). You’ll agree that any good communications programme requires research, so you’ll find the job description following; but we’d also encourage you to have a good look round this blog and our main website. The role is available for an immediate start, so please submit your response by 29th April. The purpose of the communications manager’s role is twofold. It is a) to act as the conduit between agency and client, grasping clients’ goals and making the best use of Spring’s resources to build and manage an effective campaign and b) to undertake writing and communications tasks on behalf of the agency. Press releases, to be written in an appropriate tone of voice. Circulation to the print, broadcast and digital media upon completion as appropriate and communications with the recipients to ensure take up. Research publications (on and off line) and also information to inform calendar planning, release writing and social media activities. Social media planning, management, content development and reporting. Engage appropriate press contacts and build a network of relationships. Use these relationships to ensure any press releases are sent to the appropriate media in a way to best achieve successful inclusion in the publication. Structured reporting on activity and take up. Attending and facilitating events and recording outcomes of those sessions. Any other required content writing for Spring’s clients in the appropriate tone of voice. Prepare agendas and minute meetings for the record, and circulate. On occasion Spring account handlers will be expected to undertake formal sales and marketing activities, and at all times to endeavour to develop existing business and be open to opportunities for new business. We expect you at all times to show commitment to Spring and colleagues, and discretion about projects and other business matters. 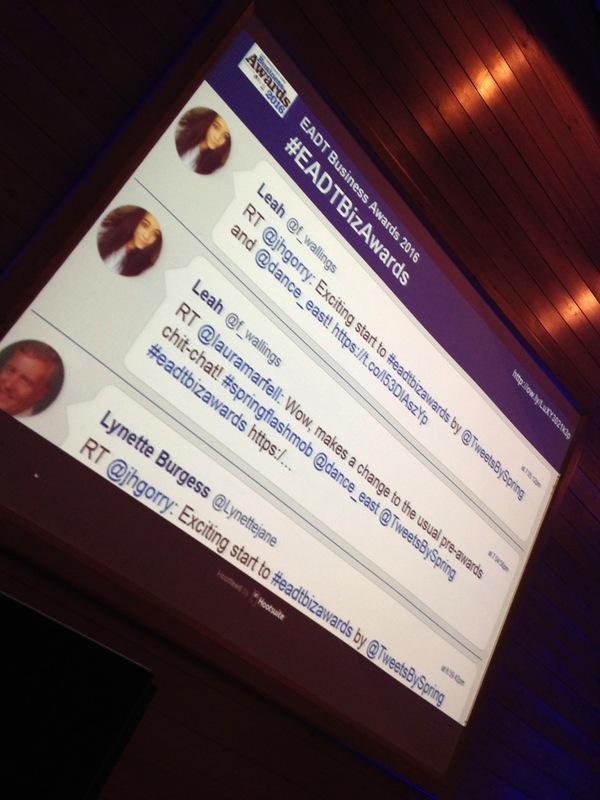 …to deliver annual reviews of performance and support your career development. 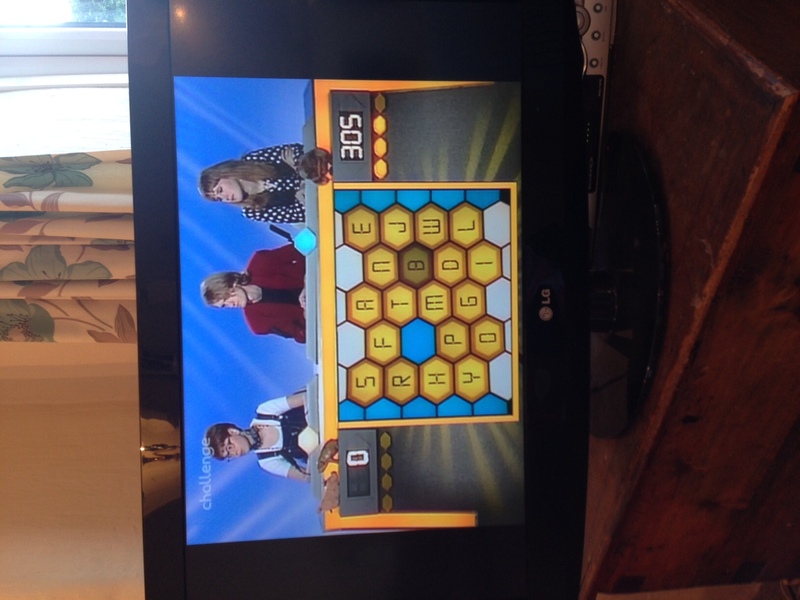 This weekend one of the Springers has been down TV memory lane – and, it seems, re-emerged as an agony aunt. 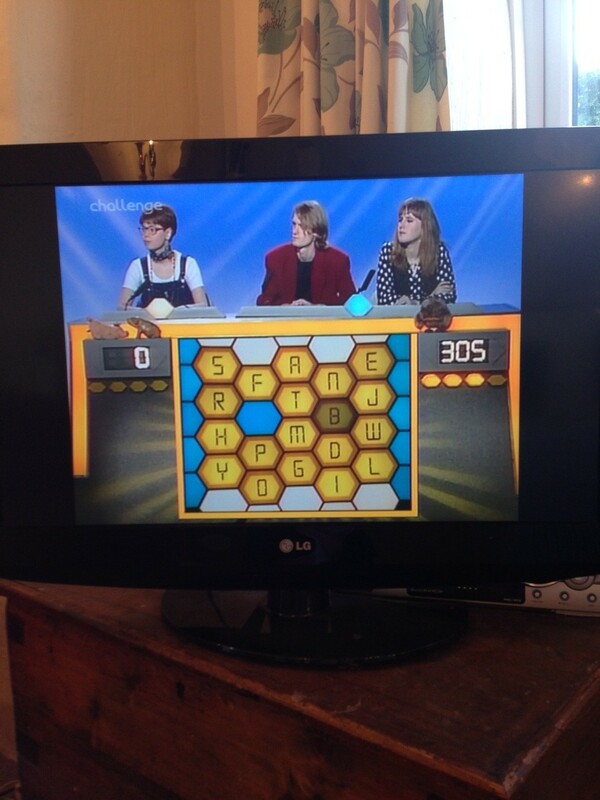 Laura Marfell-Williams appeared on Blockbusters at the tender age of 17 (she hasn’t changed a bit) and assures us that, at the point seen here, she had only just started and the other two had completed three gold runs. But the question is: did she utter the immortal line “I’ll have a P please Bob”? 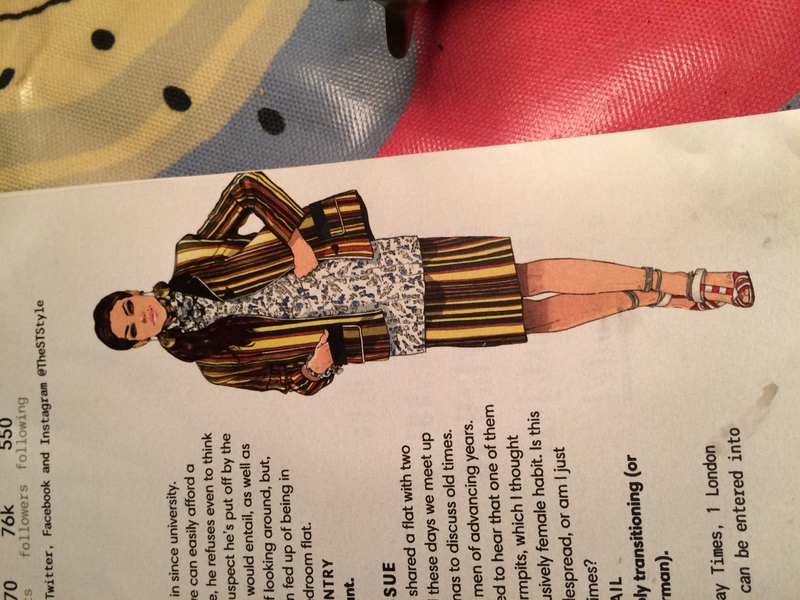 It was good to see her second media appearance of the weekend, as the new iteration of the Sunday Times Style supplement’s irreverent agony aunt, Mrs Mills. This year I used my Cultural Expansion Grant to explore some of the best in design and art around London. My route through London Design Festival began by stumbling across one of the guides sitting outside Brands Limited in Clerkenwell. 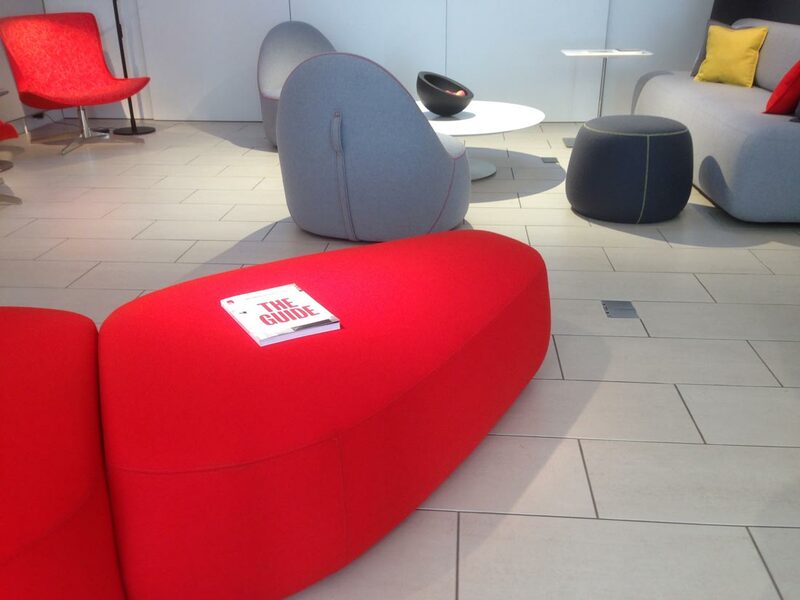 They were displaying a range by Bernhardt Designs, called Colours. The furniture was striking and I had a great chat with the experts in the shop. I’d headed to London specifically to visit LDF but I’m a big fan of those serendipitous moments that let you discover something you weren’t expecting. 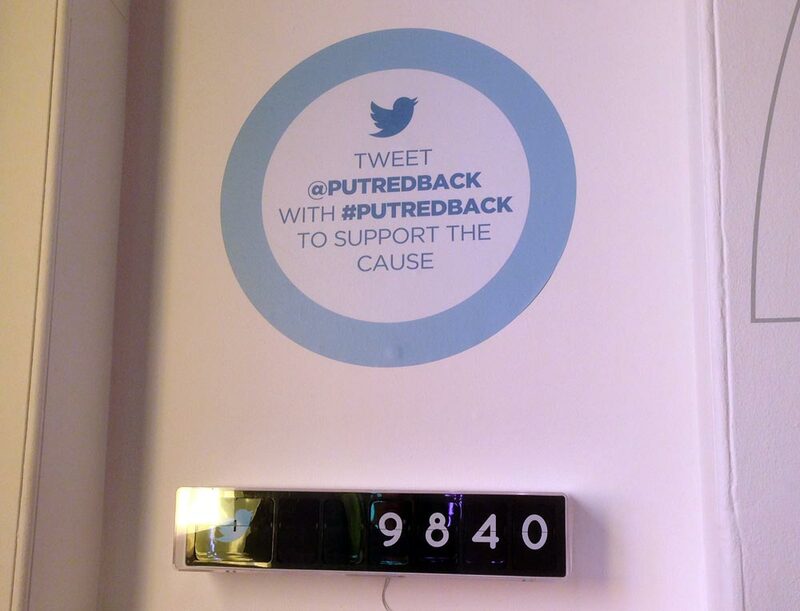 and #PutRedBack – a machine that added a drop of coloured water to a flag shaped installation to raise awareness of the fact that by law, gay men still can’t donate blood. 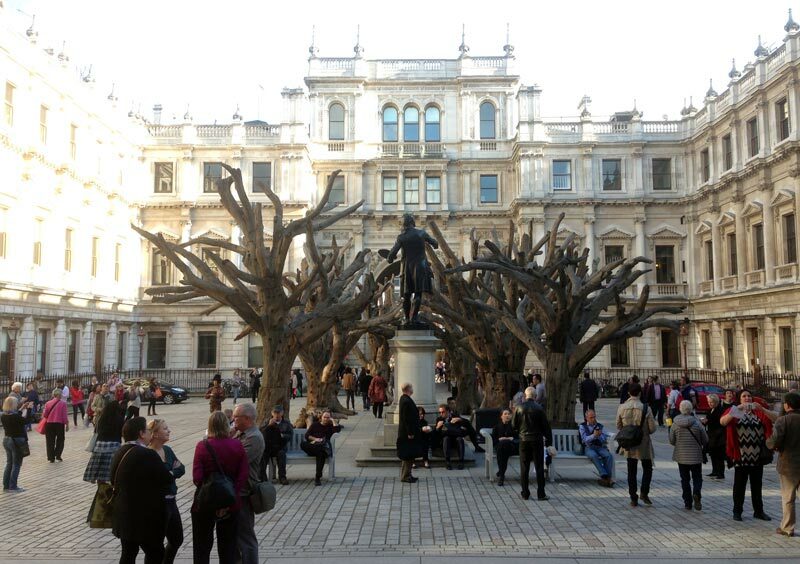 Along with LDF we took the opportunity to see the Ai Weiwei exhibition at the Royal Academy of Arts. Words can’t describe how much impact it had. His art has such a powerful political message and really left us with a lot to think about. His S.A.C.R.E.D diorama featuring six scenes from his daily life while he was illegally detained for 81 days in a secret prison made the experience so real for visitors to the exhibition. 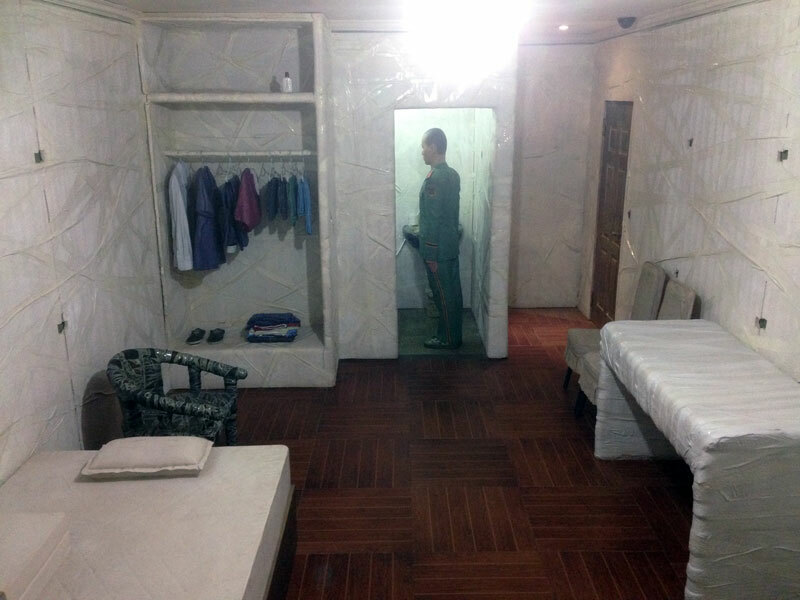 Each diorama is enclosed in a 2 ½-ton iron box and shows Ai Weiwei under constant surveillance by two prison guards who were never more than 3 feet away. I’m glad I was able to use my Cultural Expansion Grant to visit these two events. The Ai Weiwei exhibition runs until mid-December and I’d really recommend it. LDF2016 is definitely going on my calendar for next year and you should consider going too. Has John Lewis just shown us what we are all doing wrong? 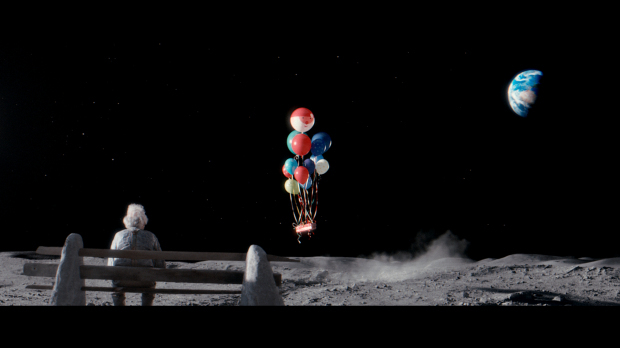 Man on the Moon is John Lewis’s tearjerker for the year; and it’s great that they are supporting Age UK – a charity close to Spring’s heart. The simple fact that Lily, the girl in the ad, cares about the man on the moon is lovely. And the quality of the piece cannot be denied. It’s beautifully planned, immaculately shot and with a suitably emotional musical backdrop. But it’s left me feeling queasy. 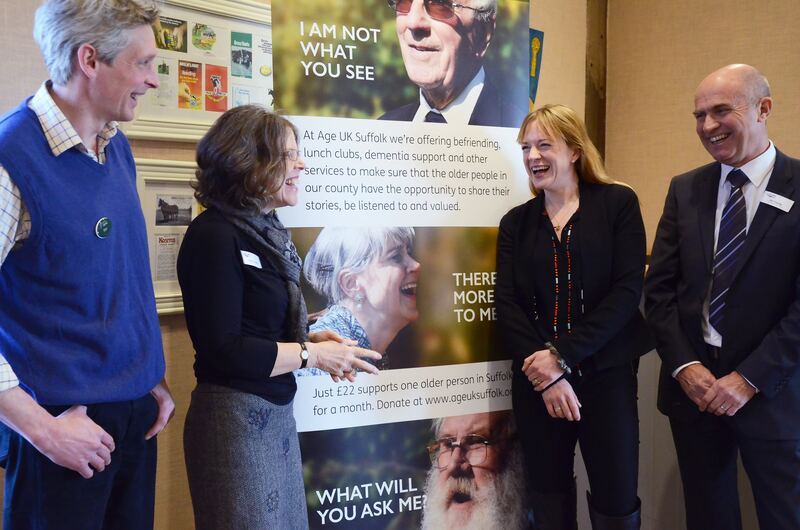 Age UK Suffolk’s 2015 campaign has been called ‘Shine a Light on Loneliness’ – it’s been a great success and I do not believe that even once has the solution to loneliness been a present. Even the present of a telescope that allows you to make eye contact with someone. If someone has no company for a month, what they need is company. John Lewis is in the business of selling, and the sentiment is less grasping than many other retailers’ Christmas messages, but it’s still a sad thought that a present could even hope to replace people. Spring has donated 2016’s campaign to Age UK Suffolk and our goal with that campaign is to break down the barriers between generations, to open up the routes to conversation and to create opportunities for people of all ages to meet and get to know each other. We’ve created a film, too. It’s very much simpler than this, and something which Spring, people connected to Age UK and other creative businesses have either donated their time for or worked at hugely reduced rates. We know that our film will be a catalyst for change – and it receives its own first airing on the 11th November. John Lewis’s beautiful Christmas ad will raise awareness and funds for Age UK. So let’s hope that 2016 sees Age UK branches across Britain well-funded and bringing communities together. Living and working in this iconic seaside town it’s hard not to love the sea. It’s also impossible to not be inspired by its strength and beauty. It’s an inspiration that is shared across the globe – by surfers, free divers and other lovers of the deep blue, and it’s this common bond that the Ocean Film Festival was born to celebrate. Created in Australia, the Festival came to these shores for the first time a few weeks ago and a couple of Springers went to see it at the University of East Anglia. The Festival is over two hours of inspirational, educational and entertaining films related to the ocean, created by independent filmmakers from around the world. Amongst others, we saw the story of Ramón Navarro, the world famous Chilean surfer, and a film called Arctic Swell that captured the raw beauty of Earth’s last great wilderness. The melding of cinematic imagery with spectacular oceanic life stories from people across the world was breathtaking and inspiring. 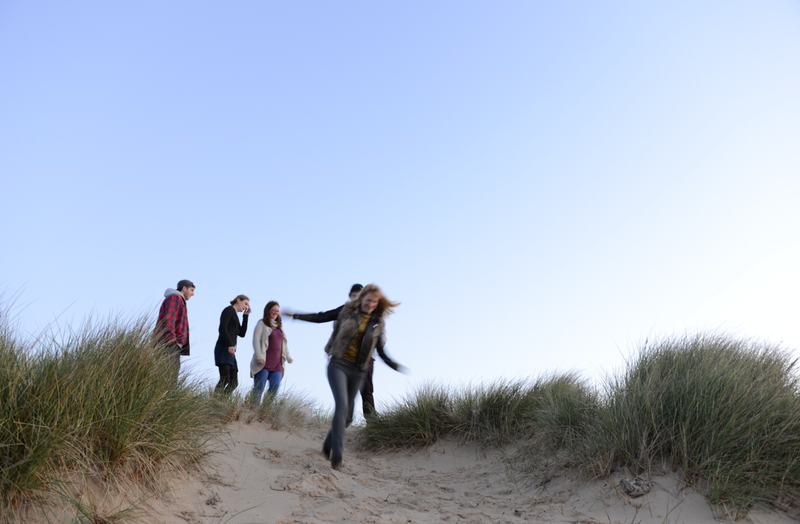 It also emphasised the connection between a coastal lifestyle and creativity that we enjoy here in Southwold. Edinburgh in August is a funny place. You see so many shows in a row that they all start to blur into one another, the coffee-fuelled gaps between them become more and more crucial, and the lines between good culture and bad culture become crossed – was the last show I saw really that bad, or did it just pale in comparison to the day’s earlier offering? It’s easy to develop cultural blindness. This year, my Edinburgh experience was a completely mixed bag. The Spring Cultural Expansion Grant allowed me to be a bit more experimental with my choices, so I saw some new work by artists I was familiar with, some gigs that I had been waiting for months for, and some shows that I sandwiched between other stuff –buying a ticket in the heat of the moment without even knowing what it was about. I was in Edinburgh for three days, and saw 14 shows in total. There’s no such thing as high-brow or low-brow after that, it all merges together, and you run from one small cramped space passing as a theatre, to an even smaller, more cramped space passing as a studio. It takes its toll on the emotions, too, because, that’s the real point of culture, after all, to affect us. By the end of the last show, the one you crammed into the morning you leave, you’re ready to say goodbye to Edinburgh. Once home, you start to remember certain things you loved, and smart, creative work that will stay with you forever. The blindness starts to subside, and you can start to make out distinct shapes. And you’re already planning your trip to next year’s Festival. 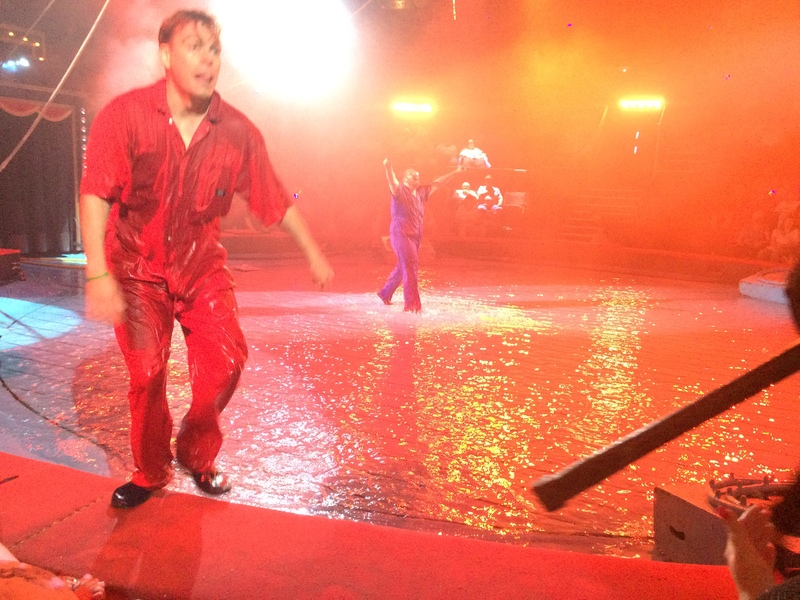 Juggling, magic & drawing the crowds: 8 things circus taught us. This has been a circus summer, all in all – Southwold has hosted Circus Hassani and Spring’s work on cultural tourism has allowed us to celebrate the range of circus, traditional to modern, that’s focused on Great Yarmouth. And as we visited and worked, we have realised some points of connection between Good Circus and Good Agency. 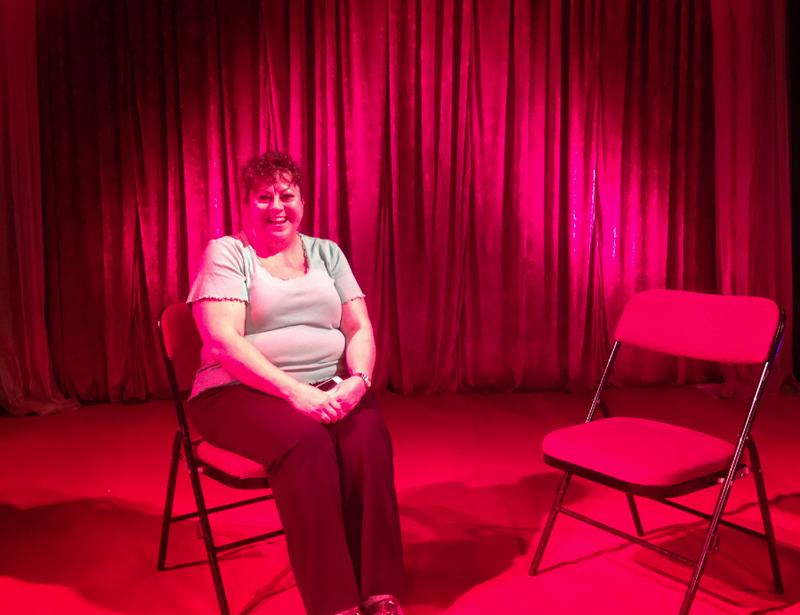 Spring asked Mina Houssain to be a Spring Hero, and share with us her experiences of performing in and running a circus. As daughter of Moroccan tumbler and circus supremo Ali Hussain and grand-daughter of the legendary Coco the Clown, she’s circus royalty and has been immersed in circus for her whole life. She, and many of the Circus Hassani performers and technicians, shared their stories (and biscuits) with us in the inspiring surroundings of their star-bedecked Big Top. Here is what we learned. Circus is global: in a world where trade is increasingly international, circus is a global community where performers gather from across the four corners to create the show. This multi-cultural, multi-national composition breeds understanding and tolerance. Agencies which are intent on quality service and their own growth can learn a lot from this: cultural variety is of increasing importance. Circus performance is focused: there’s nothing you can tell an aerial silk artist about mindfulness that she doesn’t already know. Each performer and production team member in a circus company must 100% focus on the task they are performing – and it’s up to their colleagues to ensure they are fully supported. Agencies emulate this: we each have our own skill that’s fundamental to projects, and it flourishes in a supportive team. Circus is a community: when a show is on, everyone involved lives, breathes, eats, sleeps the circus. They live with it, get involved in marketing and maintenance, serve the pop corn – it’s never just about the skills they bring to the group, it’s also about being a contributory part of a tight community. The best agencies I have known all foster this sense of connectivity in their own team. Circus makes the hard work look fun: Like running a pub or owning a farm, circus is one of those vocations which expects hard work, long hours, great skill and emotional resilience. So, when you spend six weeks getting soaked in cold water twice a day, perform an act which requires great strength, are spun round 100 times by your neck, drop your diablo, have a lacklustre audience – you whoop, flash a huge grin – and then go and serve candyfloss. Agencies who believe that they add value by impressing on their clients what hard work it all is aren’t much fun to work with. Circus expects talent without ego: one minute you’re in the spotlight, crowd gazing at you and saying “Ooooooo!” as you swirl, balance, catch, disappear from view or bend yourself into an impossible shape. 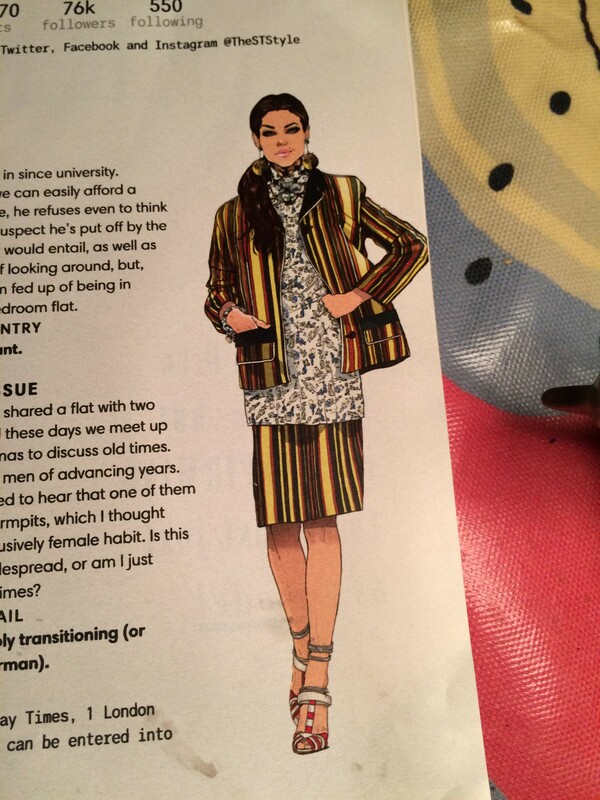 The next minute you’re serving tea, hefting a box around backstage or distributing leaflets in the pouring rain. It strikes me that there is little room for ego in this environment, although it undoubtedly exists. Agencies ruled by ego tend to be less empathetic to their clients and less able to grasp target audience motivations: and thus, ultimately, less effective. 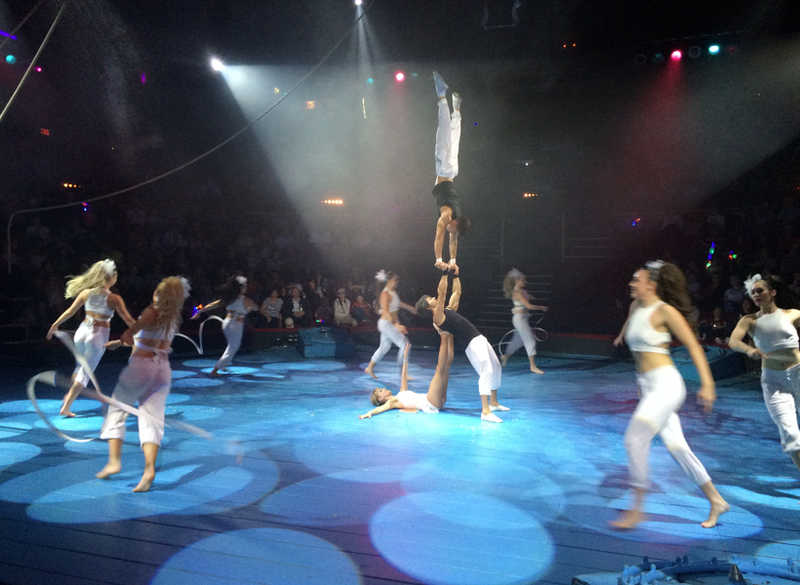 Circus is customer focused: One of the great skills of any performer is their ability to catch your eye, smile and draw you in to their performance. The best circus people are not just about the tumbling, juggling or fire eating – they are about what in my world might be called customer engagement. A happy punter leaves thinking “I saw some amazing feats of skill, laughed at the jokes, reveled in the atmosphere – and the clown definitely liked me best”. Good agencies understand the value of that level of connection with their clients. Circus has to be on time: The concept of running away to the circus implies that you’ll be throwing responsibility to the winds. In reality, with two performances a day, possible 24 hour turnaround between locations hundred of miles apart, and a sizable cast – circus is all about timing and meeting deadlines. Agencies might (quite rightly) be feted for their creativity and strategic nous: but if they fail to deliver projects as promised, it counts for nothing. 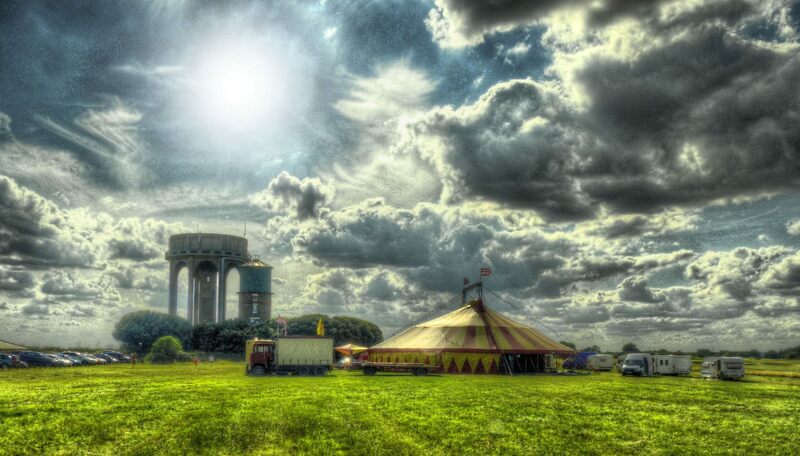 Circus is exciting to be near: even if you don’t attend a performance, the Big Top’s presence is exciting. It lifts the spirits to see the striped roofline in the distance, to hear the whoops carry over the town, to see the circus lit up at dusk. There’s something about a circus simply being in a place that adds a frisson of excitement to that place. I’m possibly a little biased, but I do feel that good agencies bring an extra dimension to their communities. Spring takes active steps to add value to the town in which we are headquartered – but it’s also a joy to hear people comment on our presence when they walk past, usually with a question or an anecdote. Maybe it’s something to do with the creative energy, and with the enjoyment people get from working in a circus or an agency. To celebrate the 50th anniversary of The Landmark Trust, Sir Antony Gormley created a series of sculptures entitled LAND. 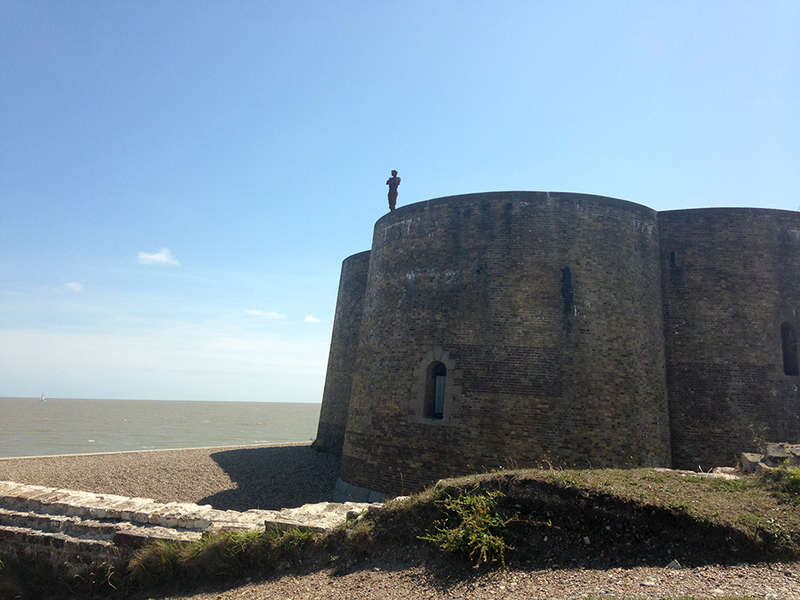 Five life-size statues have been placed around the country at Landmark Trust properties and hearing that one of them would be placed just down the road in Aldeburgh, a few of the Springers decided to go on a cultural road trip to the Martello Tower. Bex, Lynton, Nikki HG, James and I jumped in the Springmobile today for a lovely sunny drive to Aldeburgh and a talk at the top of the Martello Tower. We entered the Tower by crossing the bridge (which covers the half of the moat that is still in place) and climbed the stairs to meet our tour guide. He spoke to us about the interesting history of the building, constructed at the start of the 19th century as part of our island’s defence against Napoleon. The building itself is imposing, but beautiful, with Aldeburgh beach on one side and the River Alde on the other. 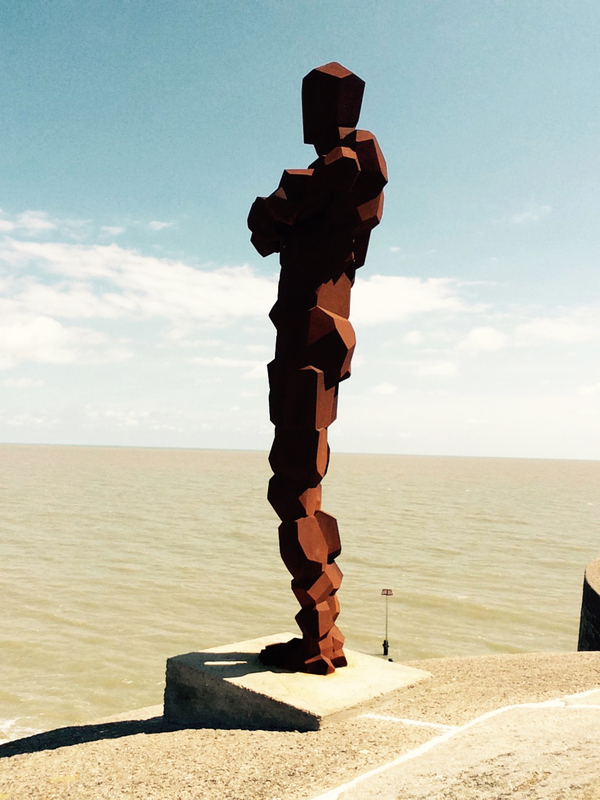 Sir Antony Gormley’s iron sculpture stands on top of the Tower, facing the original location of the village of Slaughden which was lost to coastal erosion as so much else has disappeared along our coast. It was put in place in its already rusted condition – a reflection on what the elements can do to human endeavours. For many of us, this was the first time we heard about Landmark Trust properties being open to the public for holidays and breaks away all over the world. We know where to hold the next Spring summer party! It’s summertime! Another glorious, big blue skied, east coast summer is upon us; and we Springers are right in the thick of it in Southwold’s bustling town centre. 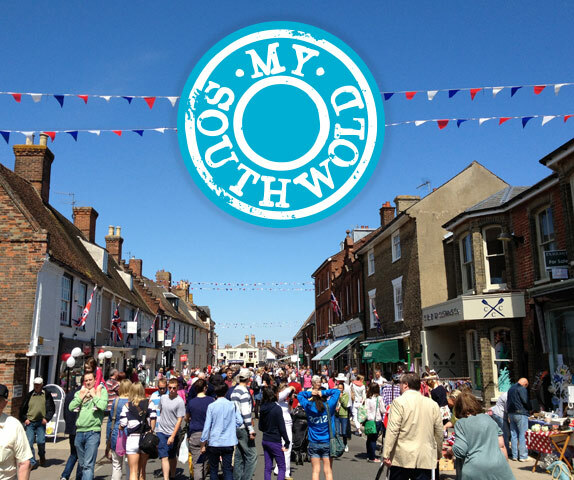 The Southwold Arts Festival was a great celebration of the town’s community and brought world-class speakers and performers to Southwold for a week at the start of July. Spring has been proud to support the Arts Festival with design and digital build, as well as being eager participants in the street parade that marked the Festival’s 2015 opening. And today we are emerging from the festivities of Latitude‘s tenth anniversary weekend. Between Springers attending for pleasure and business – some of us volunteer in various capacities – it’s been a busy and exciting weekend for everyone and today the studio’s abuzz with gossip from the weekend and new music on Spotify. Who saw Ed Sheeran’s two informal gigs – and how did George, his greatest fan, miss them both? Halcyon was part of the team running the families tent, and spent her Latitude pouring tea and overseeing baby baths. 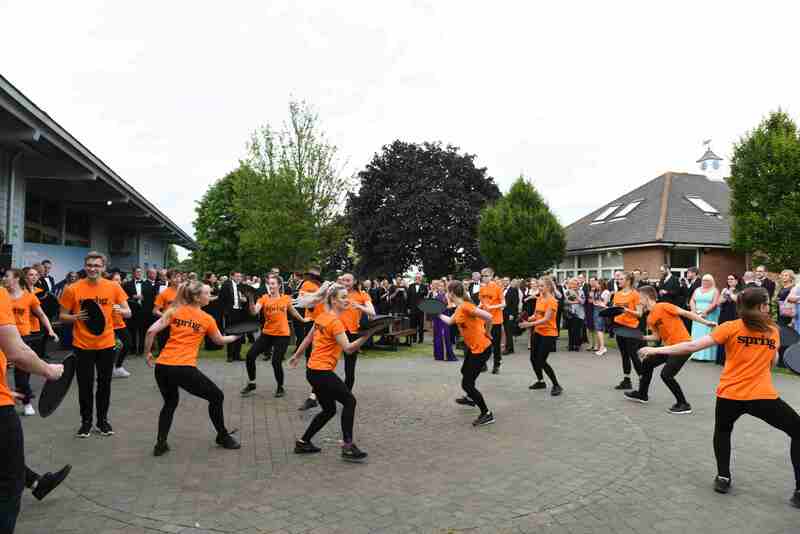 Spring friends and clients were much in evidence – including DanceEast who kept up festival-goers energy levels and fitness with a wide range of classes. What lies ahead for the rest of the summer? Southwold’s entertainment stalwart, the Summer Theatre, is now open for bookings and promises a season of really good performances, equally rewarding for locals and holidaymakers. In August, the circus comes to town: Circus Hassani opens on the 1st August. It’s got a heritage to be proud of. Despite the norm being for animals in circuses, Hassani launched in the 1970’s as Britain’s first circus to have only human performers. Ahead of their time, if it were not for an unexpected opening as Chessington’s on site circus they might not have survived the time it took for attitudes to change. 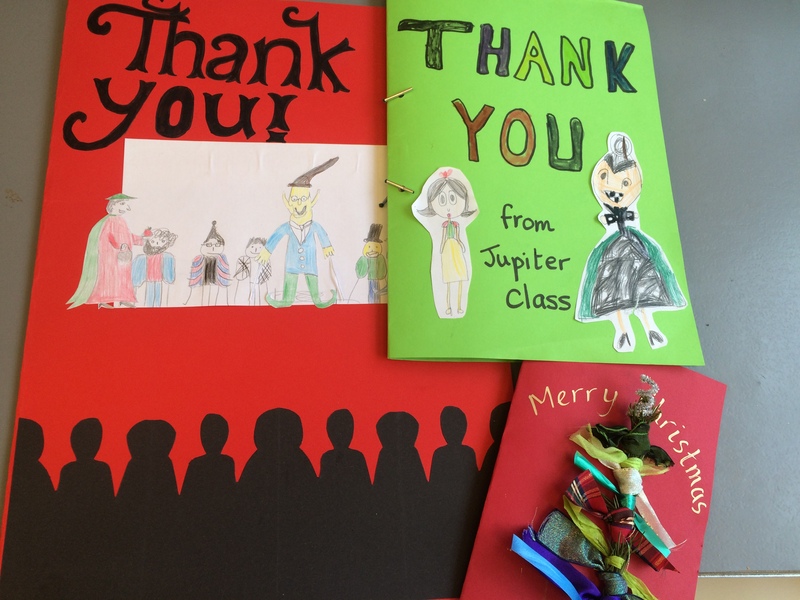 Thank goodness they did – its a terrific circus which is as fun for adults as it is for children. Holiday lettings businesses are reporting a bumper summer, new foodie venues are opening and a few old favourites have had an update, the water’s already warm enough to swim in and the sand’s ready for digging. Wish you were here? Luckily Spring’s recruiting at the moment: if you’re a designer, web developer or new business manager seeking an exciting new challenge, get in touch. If you are a super-talented web developer, come to Spring! We’ll make you a highly-valued part of the creative process as an integral member of our studio team. You’ll have the opportunity to take part in early stage briefing sessions, meaning you can ensure that your skills and passion for technology are brought into Spring’s thinking at the very start of projects. Spring’s a meritocracy and values everyone’s input, so if you’re really into the potential of digital communications, you’ll be able to make innovative things happen. Base level requirements of the role are that you are a confident CSS front end developer, fluent in PHP, HTML, and JQuery coding, WordPress and eCommerce (thanks to an existing client’s requirements, knowledge of Drupal would be useful). You’ll be confident to work as part of the team from the start of a project, often dealing directly with clients, over the phone or face to face. You’ll work on UX, IA and wireframing – and then technically, you’ll own the project throughout; usually undertaking the work yourself but if it’s highly specialised identifying, briefing and managing partners. You are, of course, utterly fascinated by the potential of the internet in all its guises, and keen to push technology to new places. You know your way round social media blindfolded, understand and develop strategies in response to analytics, can plan and manage SEO – and know how to articulate the process and outcomes. You’re equally knowledgeable about the nuts and bolts like hosting, and happy to guide clients through their own learning curve. You’ve got a good work ethic, understand the importance of keeping promises, are a project completer and happy to work as part of a fast-moving, creatively innovative, hard-working and dedicated team. You are comfortable working with clients, contributing to proposals and presentations – both in writing and delivery – and really keen to be part of this exciting, fast-growing business. Feeling excited? Good! Please email Erika to explain why you are perfect for this role. We look forward to hearing from you.